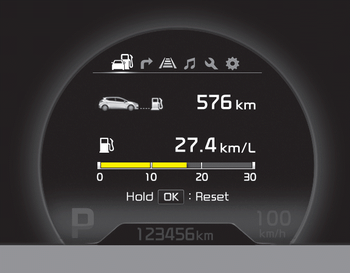 This mode indicates the estimated distance the vehicle can be driven with the remaining fuel. When the remaining distance is below 50 km (30 miles), “---” will be displayed. The meter’s working range is from 50 to 999 km (30 to 999 miles).